Staining of paraffin embedded human tonsil with Mouse anti Ubiquitin (MCA1398G). 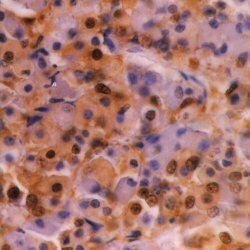 Staining of human hypophysis. Formalin fixed, paraffin processed tissue with Mouse anti Ubiquitin (MCA1398G). 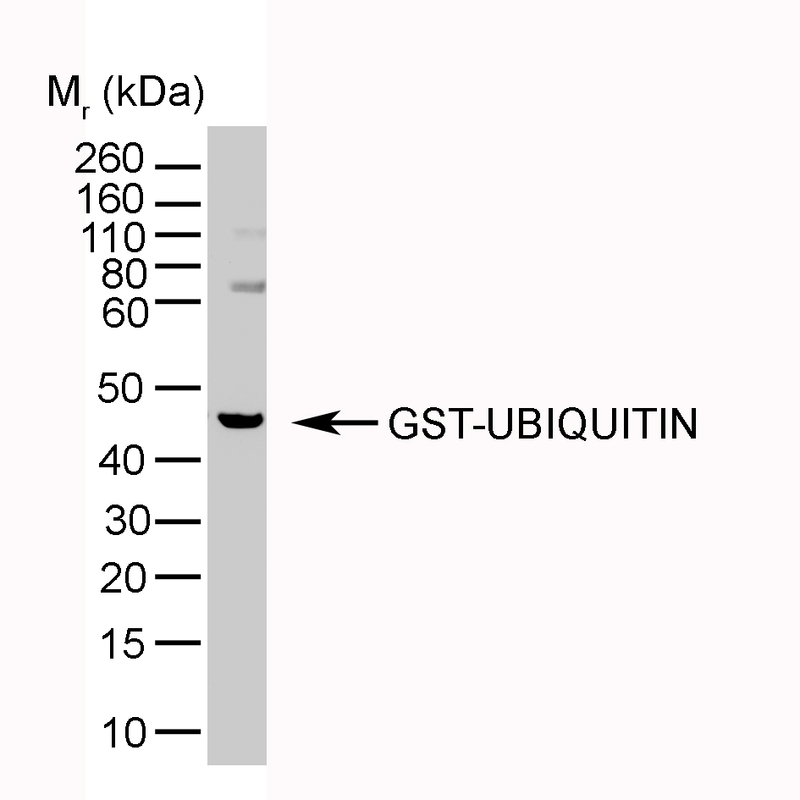 GST-ubiquitin detected with Mouse anti Ubiquitin (MCA1398G). 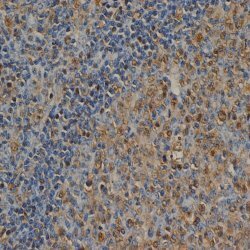 Mouse anti Ubiquitin antibody, clone 1B4-UB recognizes both human and bovine ubiquitin. Spleen cells from immunized BALB/c mouse were fused with cells of the mouse PAI myeloma cell line. Sun, L. et al. (1999) Molecular identification of a murine ubiquitin/60S ribosomal fusion protein and expression study in mouse kidney. Chen, W.Y. et al. (2007) Histone deacetylase inhibitors reduce steroidogenesis through SCF-mediated ubiquitination and degradation of steroidogenic factor 1 (NR5A1). Mol Cell Biol. 27: 7284-90. Bista, M. et al. 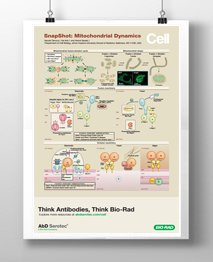 (2013) MDMX contains an autoinhibitory sequence element.